More than half of people in the US are comfortable contacting their doctor digitally – and medics are also supportive of digital technology as a means of improving quality of care and reducing workload. Conducted on behalf of financial services firm Ernst & Young, researchers interviewed 2,455 US consumers in the online survey last month. The company’s EY Sweeney division also interviewed 347 doctors and health executives, between 31 January and 6 February. Results showed that 54% of consumers were comfortable contacting a doctor digitally, although only a quarter (26%) were happy with physicians accessing their lifestyle habits unless given added incentives. Reducing waiting times is the leading incentive to share data digitally with doctors (61%), with cost savings following as a close second (55%). Despite hesitation in sharing dietary and exercise information, 26% indicated that the ability to receive tailored diet and exercise plans would also encourage engagement with digital technology. But results also show increased awareness among consumers about the level of innovation in the health sector, with 64% of consumers considering the US health industry to be innovative. More than two thirds (70%) of doctors are positive about the effectiveness of current technologies, the survey found. 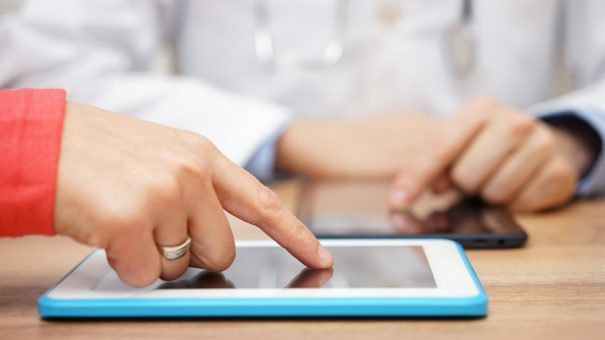 More than four in five (83%) physicians believe that increased consumer and patient-generated data from connected devices would benefit the overall quality of care and enable more personalised care plans. Two-thirds (66%) also indicate that increased digital technologies would reduce the burden on the health care system and its associated costs, and 64% think it would help reduce the burden on doctors and nurses and help prevent burnout. Despite the overall positive sentiment, across all forms of tech, the survey found much lower engagement and interest from those aged 45 years and older among both patients and doctors.